In 1970, Myers was chosen to develop and direct the newly created Volunteers in Public Schools (VIPS). She served as executive director of VIPS for 20 years, and under her leadership, it became a national model and won many awards. Since 1991, The “Jean Davis Myers Award for Community Service” has been presented annually by HISD to an individual or group whose program or volunteer efforts have had a positive effect on students. Myers was also instrumental in creating partnerships between public schools and the business community, and served as president of the National Association of Partners in Education. In addition, Myers was a member of the board of directors of I Have a Dream–Houston, Volunteer Houston, and the Houston Association of Volunteer Administrators. 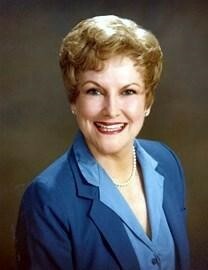 She was active with the Texas State Teachers Association, Houston Hospice, and the Harris County Appraisal Review Board. For those wishing to pay their respects, a memorial service will be held in Myers’ honor at 11 a.m. on Tuesday, June 9, at the Forest Park The Woodlands Funeral Home (18000 Interstate 45 South, 77384). A full obituary is here.